The Enduring Freedom operation was launched in the night of October 7, 2001. International Security Assistance Forces (ISAF), operating under NATO, have been present in Afghanistan for already 8 years. ISAF are represented by 39 countries, both inside and outside NATO. 8-year war in Afghanistan produced about 1500 killed soldiers of ISAF (the biggest losses were incurred by USA, Great Britain and Canada). 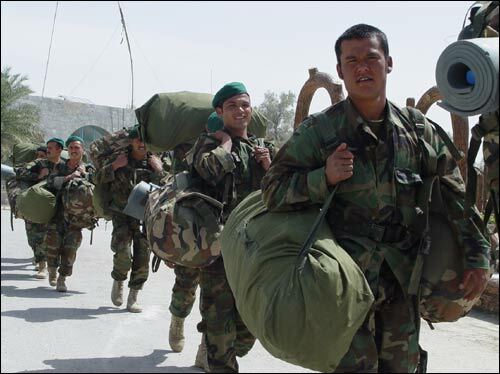 There is no official data about the losses among Afghan soldiers, civilians, Talibs. Some data report that over 3.5 thousand people were killed by American bombs. On the other hand, the production of drugs in Afghanistan has grown by almost 40 times. It is big question whether the Enduring freedom produced poverty, destruction and corrupted government, but, today, the West and USA allocate huge amount of money in Afghanistan, investing not only in military operations, but also recovery of the economy and social infrastructure. - One needs to consider the goals, set by USA. In 2001 they announced the slogan of war against terror – they were actively supported and, therefore, at that time USA were a winner… Step by the step the goals shifted and now Barack Obama does not mention previous goals and emphasizes the struggle with Al-Qaeda only. From the very beginning in the pretext of war against terror the goal of USA was to strengthen positions in this region and control hydrocarbon sources in Central Asia and Persian Gulf. If Americans succeed in developing relations with independent Central Asian states, perhaps, some goals will be achieved. I doubt, however. In the last 7 years Americans damaged their reputation. They got nothing there, but good lesson. I do not see gains for America. EU is not the winner in this game either. Europe can only hope that it will be able to outscore Americans here. They are very careful in Afghanistan and differentiate themselves from America. Afghans view Europe as «softer» option while Taliban does not care. If, substituting America, Europe manages to make an agreement with Central Asian states – the sources of hydrocarbons – EU will be better off. Overall, nobody knows exactly what to do in Afghanistan. Nonetheless, it is clear that there is something that has to be done. We left Afghanistan a while ago. Everybody I met during my recent trip to Afghanistan never said a bad word about us. I am affirmed that they wait until Americans leave. They openly say: «Americans will leave anyway. Or we will say when they need to leave». This was clearly stated by influential people. If the major benefit for USA in this 8-year war is strengthened positions in the region – then, why is Washington DC seriously concerned about new strategy, one of the main points of which is withdrawal from Afghanistan? - Americans established presence in the region and the withdrawal of military bases is a long term process – says Arkadiy Dubnov, the international observer of Vremya Novostei. 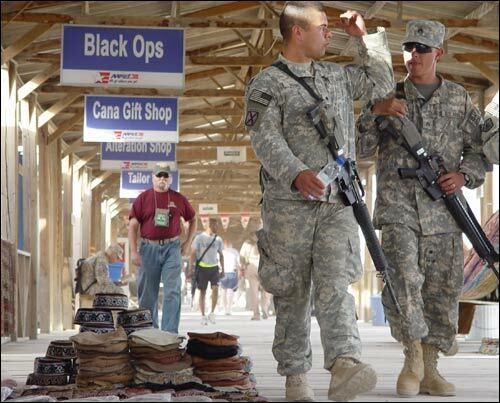 – Even if Obama makes a decision to pull away troops from Afghanistan this does not mean they will do it overnight. One of the benefits for American is that during this time new Afghan elite, oriented to the West (not Moscow), is emerging in the country. In the interview to Deutche Welle Mr. Dubnov notes that American intervention to Afghanistan gave the opportunity to Central Asian republics to feel confident that their independence is not under risk. The reason is that majority of these countries can be considered as failed states and, coming to the region, American reconciled substantial Russian influence. It is not random that after the launch of Enduring Freedom operation the experts more and more frequently mention new "big game" around Afghanistan that will eradicate Russian influence in Central Asia. According to Mr. Dubnov, Kyrgyzstan and Uzbekistan gain major benefits of the military operations in Afghanistan. Kyrgyzstan receives substantial financial support from USA. Moreover, Manas airbase in Bishkek is now transformed into civilian Center of transit traffic. Uzbekistan gained the opportunity to build the first rail road in Afghanistan from Mazari-Sharif to Hairaton, sponsored by the loans from Asian Development Bank, as well as modernize power transmission systems, considering increased sales of electricity to Afghanistan. Tajikistan is another winner: Americans built several bridges across Pyandj river: Dushanbe gained more confidence in negotiations with Moscow and demands payment for Russian military base, located in Tajikistan. Dubnov points out that the main thing is that, presumably, the leaders of Central Asian states stopped being afraid of «color revolutions» that, allegedly, were organized by the West. The presidents realized that the strategy of West, interested in the success of Afghan operations, is based on any-cost stability in the region even sacrificing democratic ideas. Responding to the question of Ferghana.Ru on how Moscow feels about US presence in the region, Dubnov said: «It is painful. 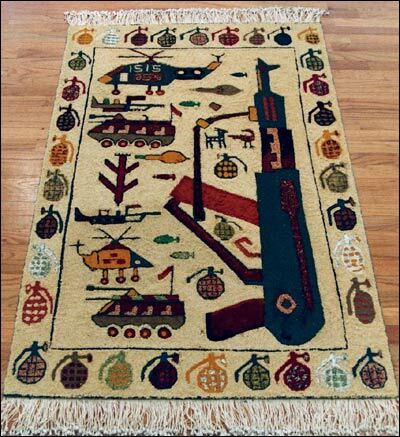 Russia views every success of ISAF and USA in Afghanistan as own defeat. Moscow believes that if Americans are in the region this is bad for Russia and if Russia joins Afghan operations (be it transit, money or weapons) this will reconcile American influence. Moscow started worrying as soon as USA mentioned that it might leave Afghanistan. Dmitry Rogozin, Russian representative in NATO, said that this will be «a disaster». - Do United States also view their presence in the region as rivalry with Russia? - I do not think so because in Afghanistan USA solve their own problems and this is the reason for their presence in Central Asia, but the rivalry with Russia. Valery Ivanov: \"We have built 142 base objects in Afghanistan for its economy…\"